Its Finally here ! Our Aciera F1 !! I know some people are obsessed with new cars, boats, houses, birds, dogs and lamps but our obsession is with our equipment. We are going to be doing some really cool things with this in the next few weeks. And the F1 is set down. Not the sexiest bum shot but he's not the star here. Slowly assembling the mill. Alot of TLC goes into the machine at this stage. Vioula ! Its done ! I'm sure we sound like random geeks here but here's the side view. I think every watchmaker should have one of these. They come in handy to take pictures of customer's watches or just to produce nice looking pictures to advertise yourself. And this should also be in every Watchmaking School. 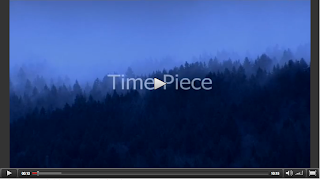 Its easy to use and encourages students to actively archive and record their work pictorially. Its not a very expensive piece of equipment and its very easy to use. Just attach any camera with a Macro function onto a tripod or secure to the fasteners on the Lightbox and there you have it ! The one i found on the net is from MK Direct. Click here for the link to their website. The basic model is about USD 395 which is approximately 336 Francs excluding shipping. They appear to have more professional models which have user controlled rotating turnstiles in the Lightbox. Oh well. The next alternative is to have a full time Product photographer in your workshop or school, but you need very deep pockets for that. Otherwise, this seems like the next best thing. P.S : The really cheap alternative is to email the course teachers in Design and Fine Art schools and ask if you could put an Ad in their school for Freelance work. Students studying fine art and design usually have great photography skills and they are pretty creative. And because they are students and they need money to waste away on a Friday night at the club, they won't ask for much ! Good quality work, quick and very cheap. What more could you ask for ? 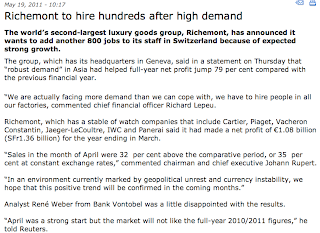 Trade shows should be just as important as BaselWorld for watchmakers. As much as its frowned upon to sell a 60,000 Francs watch as hand-made when its partially CNC produced, but the reality of economics cannot be ignored. Without the help of modern technology such as CNC machines and CAD/CAM systems, there will not be many pieces produced each year by hand. 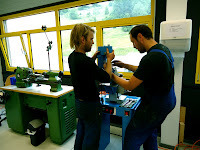 Its sometimes necessary to speed up production with the help of machines but to a limit of course. Not only do trade shows gives the watchmaker an insight into the latest machining technologies, it also gives the watchmaker an idea of whats new and whats on offer. The need to network is vital in these trade shows as you get to meet suppliers whom you may need to order from in the future. 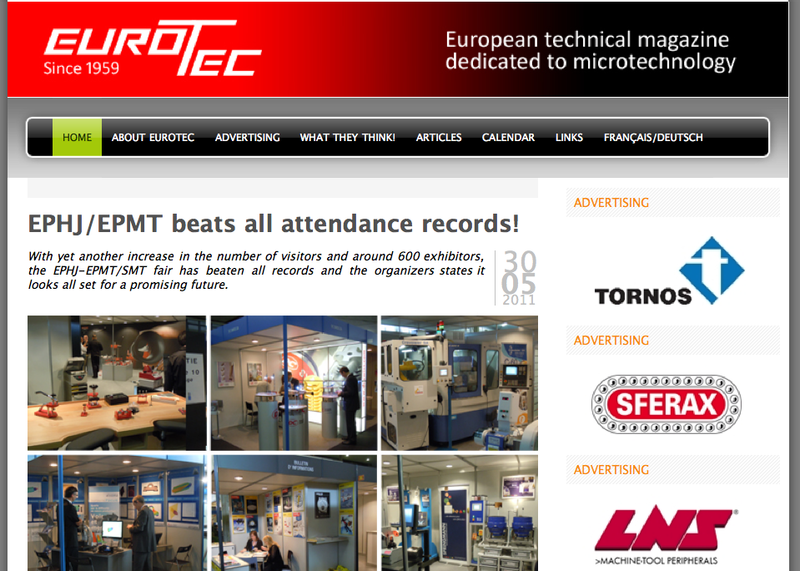 Anyway, one of this year's most important trade shows, the EPHJ-EPMT/SMT exhibition is now over, but next year, try and make a visit. It will be worth your effort and time. 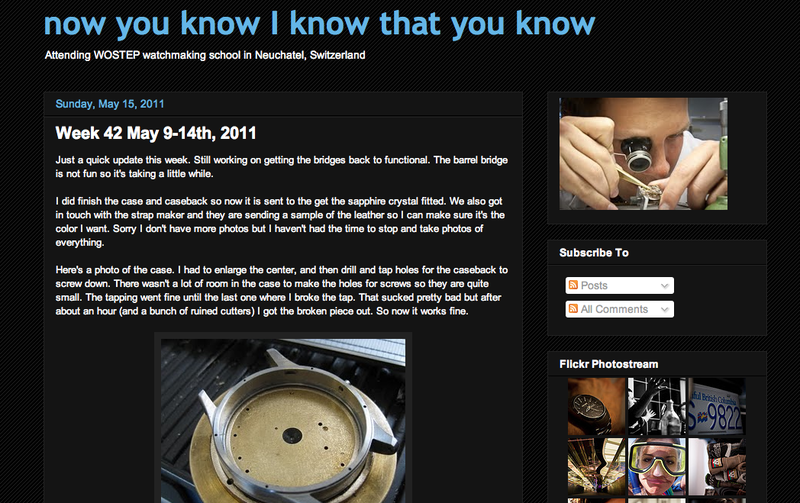 The school website and blog has generated alot of hits and reads since the Timezone.com article was published. This has also caused Henrik to review his course structure and fees. Therefore, we are going to start our enrollment exercise earlier for our 2012 intake. NOTE : All applicants has to attend a COMPULSORY Bench test and an onsite interview at KHWCC before final consideration of your application. Because of our hybrid Apprentice-Mentor method of teaching, we do not make students perform the same tests. Each applicant is subject to different types of test. At the start and end of each test, Henrik or his Assistant will tell you the aim and outcome of the test. While KHWCC prefers that the Bench test is conducted over the course of 3 - 5 days, however, due to high costs and other expenses incurred enroute to Le Locle, we are able to shorten the bench test to an intensive 2 days test. That is the minimum. 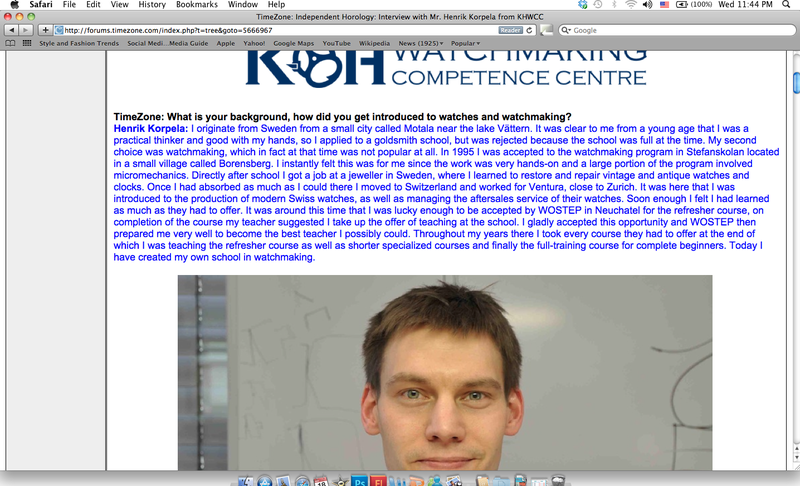 - A short paragraph in COMPREHENSIBLE ENGLISH on why you want to take up watchmaking. - Also indicate in your email that you are interested in the Full Skill Course. 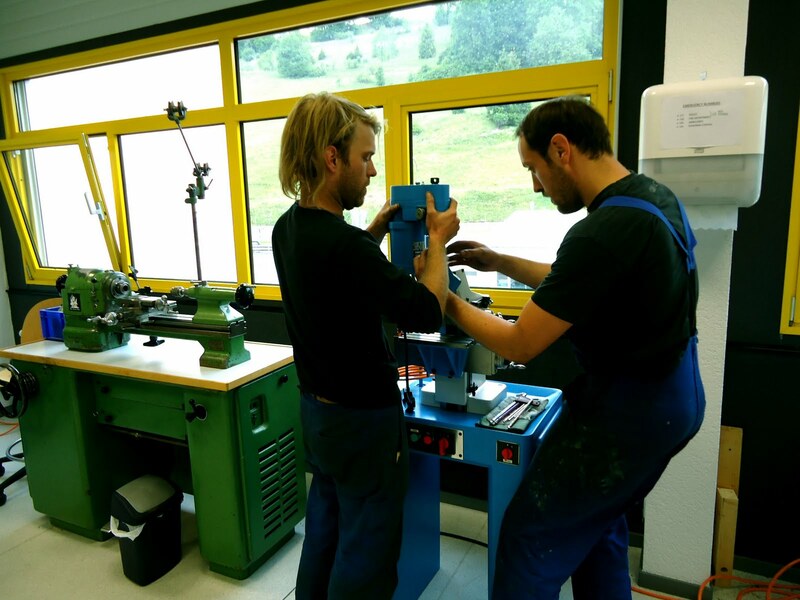 Principal Henrik Korpela @ work with a screw polisher. Though many improvements and reviews are being conducted now, we thought we might share with everyone some possible changes and additions to the course we are offering. 1. Addition of a basic Marketing/Advertising Module. 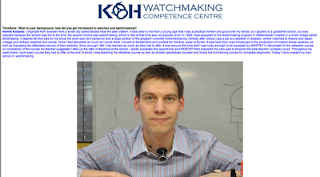 We found that while students had very strong fundamental skills and knowledge in micromechanics and various other watchmaking techniques, students aspiring to be Independent watchmakers were lacking in basic knowledge of selling and advertising. Therefore, we are in the process of formulating a module, with the help of supporters with background and experience in consumer sales, to equip students the basics of online sales, social media advertising, consumer behavior and after sales service. There has also been a proposal to begin trial of a dedicated website/weblink where simple hand finished watches produced in school will be sold to the public so that students can have some real world field experience in production, buying/selling and customer management. It is not a secret that close up and well taken pictures of products generally tend to increase sale prices of products. Furthermore, the ability to take close up pictures of the internal mechanisms of watches is an important skill to possess for a watchmaker. Most students, either during thecourse or after the course, struggle with producing such pictures. They have turned to either the internet or they pay professionals which charge expensive fees to take these pictures. Therefore, the school is arranging with a professional photographer with field experience to design a custom short course module to teach students basics in product photography, presentation, simple editing and basic macro photography skills. The student will still require the services of a professional photographer for publication quality pictures but at least he/she will be able to learn the correct techniques to produce presentable pictures on their own. This module will likely be in the trial stage in the 2011 intake and we hope to permanently include the module in the Full Skill course in the future. 1. Henrik is in the process of reviewing what KHWCC is able to offer regularly for short courses. 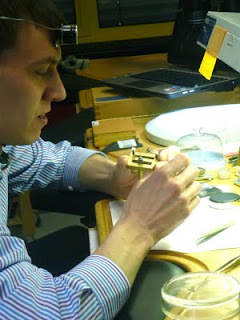 With the addition of Robert Michelsen as an Assistant Teacher, Henrik will be able to provide more flexible options and choices for Qualified/Trained Watchmakers who are seeking to update or learn a new skill. Its blogged very casually so its very easy to read and its also very entertaining. 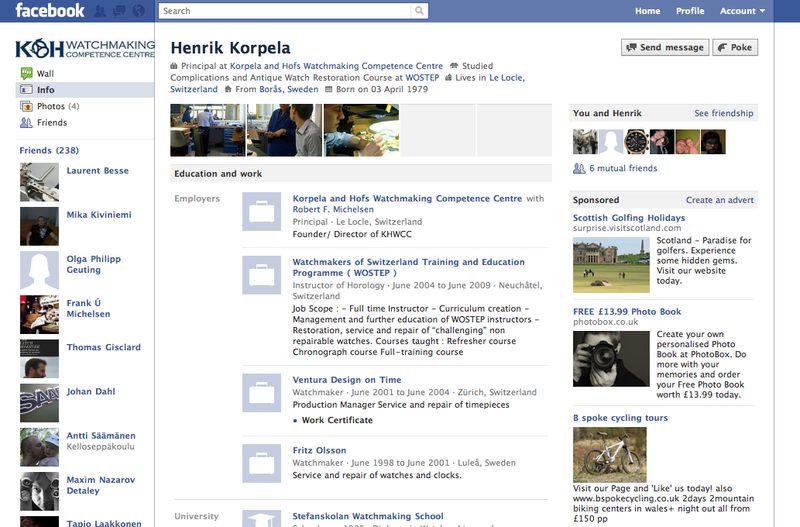 Henrik has a facebook page ! 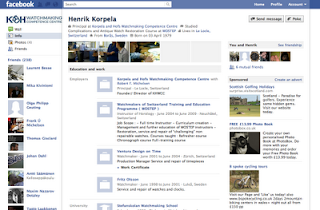 For all former and present students of Henrik, he has a facebook page ! He likes to meet new people, even if you just want to tell him you don't like watches ! Some "Social Media Strategist" for watchmakers recommends Linkedln and Twitter to increase their exposure and they cost you 70,000 Francs a year to hire. Well, since its a recommendation, we shall do so. 1 ) A twitter page. Just because KHWCC's aspiration is to educate students in the traditional ways of watchmaking do not necessarily mean that the use of modern technology is excluded. Henrik is always on the lookout for efficient and better methods of educating his students. 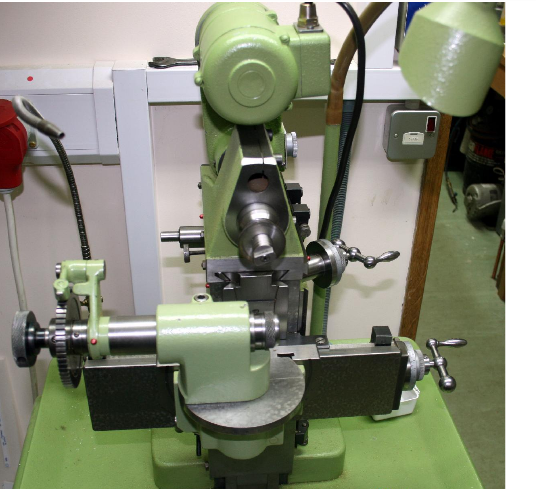 And that is what brought KHWCC to investigate whether we are able to use something quite extra-ordinary to further the pursuit of watchmaking knowledge and which we suspect might be the first few to consider the use of this new tool. 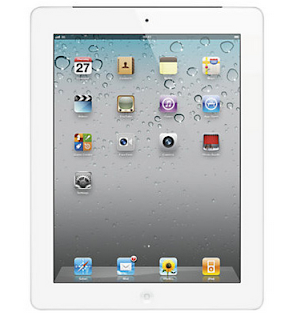 The Ipad 2 with front and back facing cameras. 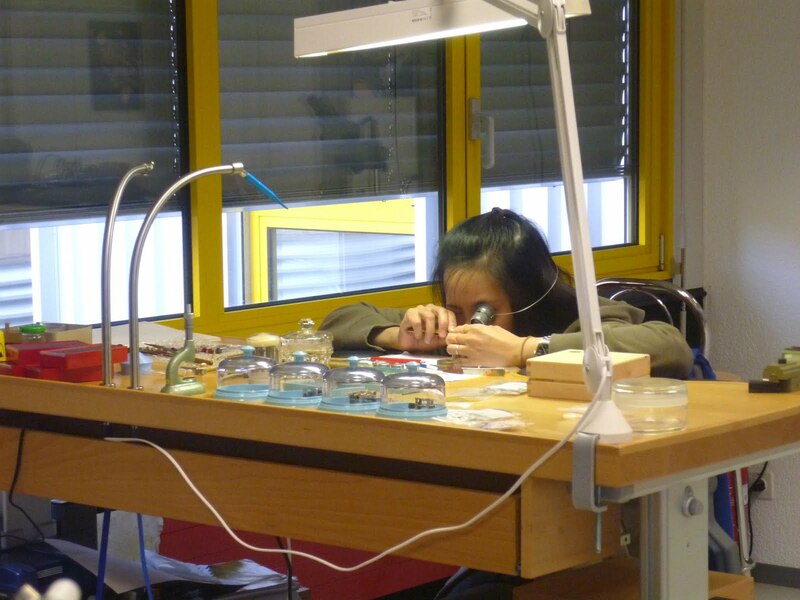 The Next Big Thing in watchmaking education ? After the teacher gives a live demonstration, sometimes, the student requires to review the action again. The teacher will certainly be able to give the demonstration again and even provide one-to-one assistance in a particular method. However, on weekends or after normal school hours where some students require to do some catchup work and the teacher is unavailable, they are able to review the clips of the process recorded by the instructors on the Ipad. The Ipad would be a better aid in this case if you compare it to a laptop computer playing the clip because it is slim and is better able to fit on most work benches without taking up too much space. Further, the Ipad can be operated to quite a good degree of sensitivity even with work gloves on. 2. It has a camera to take pictures. Sometimes, the teacher will be attending to one student while another student faces a problem. While an assistant teacher will be present, he/she might also be occupied. Therefore, the student would be able to use the Ipad to take pictures/video of the problem to show to the teacher. Some might argue that the student could just wait for their turn, but consider this scenario. The student not only is able to record down their mistakes but they will also be able to video their teacher demonstrating the technique. They will be able to easily review the method and technique again without troublesome editing or extraction from a digital camera. 3. Great tool in lectures and classroom lessons. 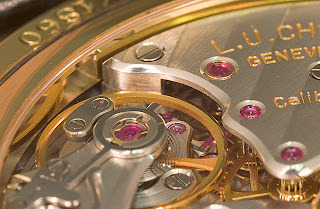 Many aspects of watchmaking education require the student to sometimes see a picture to help them better understand certain theories or problems. While the teacher could use a projector, it is now a universally accepted fact that student attention spans do not last longer than 15 minutes. With the Ipad, the teacher could direct the students to download file folders sent to their student emails which contain pictures for a certain lessons. During the lesson, the teacher will still utilize projectors to show pictures but at the same time, they could make the lesson more interactive by making the students view high definition pictures on their Ipads. This would surely catch their attention for much longer periods of time. 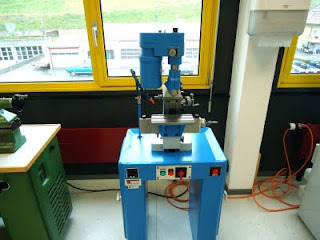 Furthermore, the teachers could also upload live animation of certain internal mechanisms ( ie short video clip on the escapement ) which the students could view during the lesson. 4. Easy to use and great for self development. The Ipad is easy to use and the students could use it to track their progress of their work by taking pictures and storing them for use later in writing progress reports on their school movement projects. 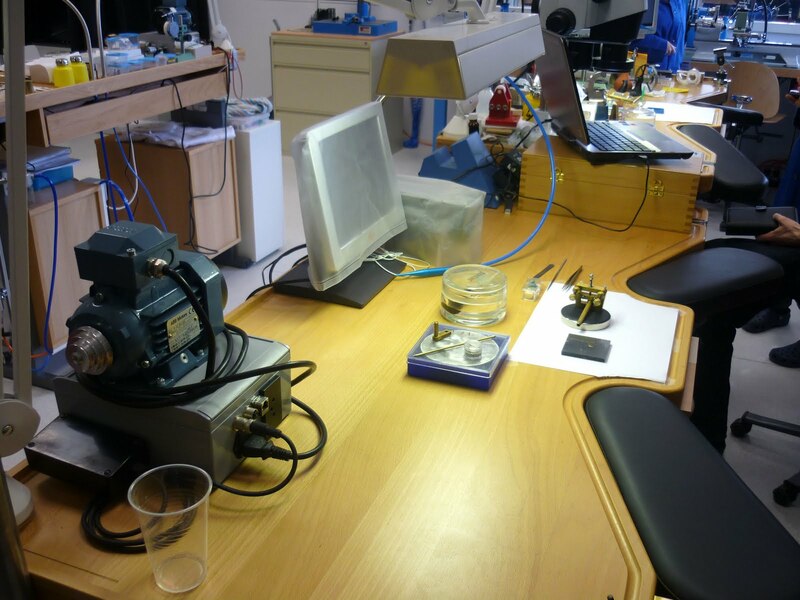 And there are surely many more ways such a valuable and interactive tool could be used in watchmaking education, so we hope to hear more ideas from fellow instructors and teachers of watchmaking. What do the rest of the readers of this blog think ? Henrik is rather interested in the concept of using the Ipad as an instructing tool and perhaps he might trial 4 units of the Ipad 2 in his 2011 intake to see if its feasible for full scale use in his 2012 intake. But of course, this is subject to the school's budget and if the budget allows for this experiment.We are currently planning a fund raising drive in an attempt to subsidize school fees and perhaps this might have to take a back seat for awhile. Anyhow, we'll be conducting an internal study soon to see if the idea is feasible. Someone has to try it. If we don't try, we won't know. Lets see what happens. And if anyone knows that other watchmaking schools have already begun to use the Ipad 2 in their curriculum, do let us know. We want to learn from them and see how they are used in the field. And no. This is not a PR stunt to make ourselves famous or an attention seeking stunt to attract people to take up watchmaking. Apple stuff is cool. 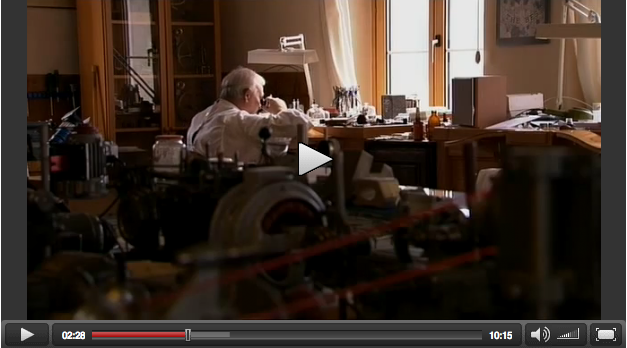 Watchmaking is cool too. 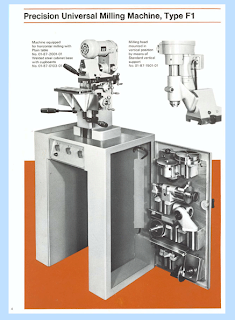 But we are not going to be responsible if you suddenly realize in your 2nd year of watchmaking school that you really signed up to use such cool tools. And yes, Henrik is very excited about this. Very very. Someone kind enough to donate 4 units to the school for us to try it out ? Its only going to cost less than USD2000/ 1700 Swiss francs for 4 units ? The number of readers of this blog has been increasing day by day. Its very heartwarming to see the support we've been getting from all over the world. We have readers from Belgium, to Japan and even as far away as Australia and Singapore. Thank you all for the words and gestures of support and encouragement. One feedback we've been getting and which we are looking into is about the school fees. 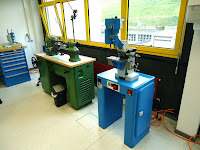 Understandably, 45,000 CHF for 2 years including tools in a big sum of money and a major investment to many. Furthermore, it can be quite a deterrent to many people who are interested but are unable to afford the fees. I hope everyone would understand our position. Unlike WOSTEP or SAWTA programmes, we do not get yearly donations nor regular cash support. Ulysse Nardin has already supported us in very big ways by providing us with tooling, management expertise and un-parallel encouragement. Therefore, all the fees go into a salary for Henrik and his assistant. And i hope everyone keeps in mind that KHWCC can only take a maximum of 4 students at this point of time. Even then, he does not take the full amount personally. He pays himself a very modest salary ( actually its quite minimum ) and he sinks the rest of the fees into maintaining the school and buying new equipment. ( Actually, the equipment is really expensive. 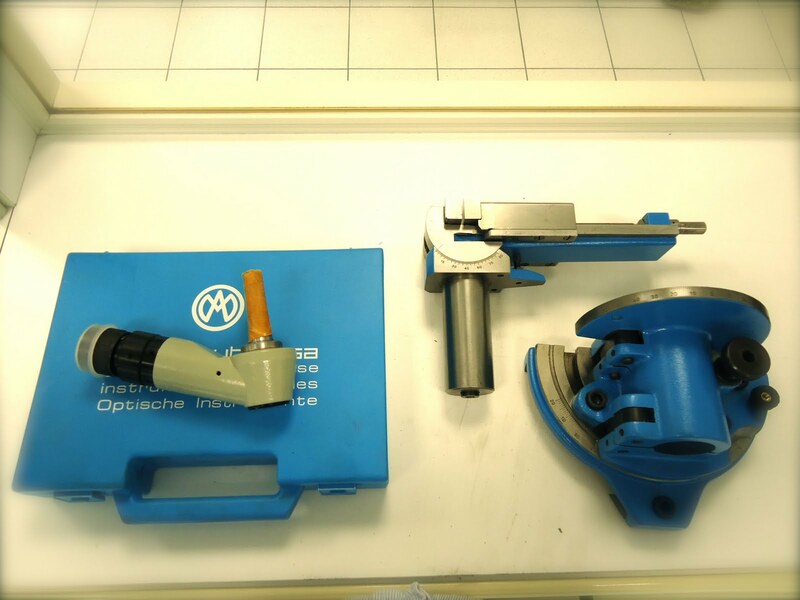 You can't use normal lathes or tools for watches. ) He does not have an administrative team supporting him and he essentially handles everything by himself. He is quite the Swiss Army Knife in the school because he is the main Teacher, the secretary, the housing/accomodation clerk and the accountant. He wants to ensure that students get the most out of the course and thats why he has decided to bear the administrative burden to ensure that money is only spent on equipment and the students. However, due to overwhelming responses and a number of enquiries, KHWCC is in the process of reviewing its Fee structure. The school is also going to actively embark on finding donations and cash injections in an aim to lower school Fees. We hope to be able to lower the Fees in the future and increase the intake but because our priority now is the education of watchmaking which we are able to maintain very confidently and comfortably, other problems/issues will need to take a backseat but KHWCC is working on it. So, please keep the feedback, comments, criticisms coming. Yes, even criticisms because thats how we can improve ! 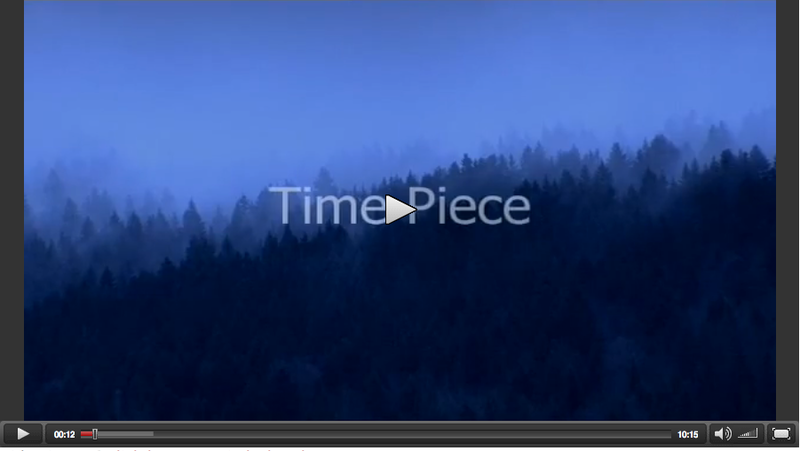 570 clicks on the Timezone.com interview page and numerous encouraging comments. What can i say ? THANK YOU ALL. And i really want to extend my greatest gratitude to Felipe for arranging this interview again ! Lets not let traditional watchmaking die out but instead bring it forward to the next century .. The Franc is the Hulk but big muscles don't mean it has big powers .. There are no Economists in the school but this surely doesn't bode well for the future. You could read the article by clicking here or scrolling down. Or i'll spell it out for you. 1. 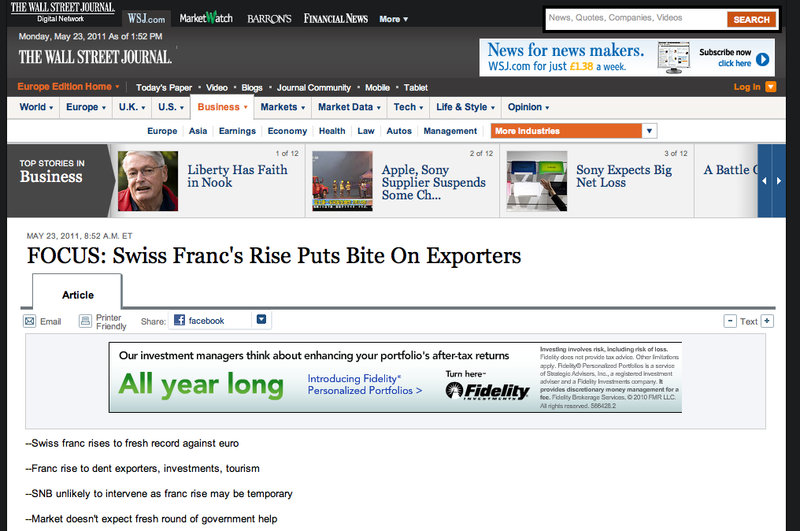 A strong Swiss Franc means anyone wanting to buy Swiss products outside of Switzerland will need to pay more. Asia and other developing countries have "booming" economies so they say but profits are profits. A more expensive Swiss Francs means they will buy less. Not a good sign for anyone at all. 2. When it comes to luxury products like watches, people will be more selective in their buying. In other words, people will buy safer products. This might not be a good thing for the rest of us who are starting out or want to venture out as an independent. But then again, it could swing both ways. Because people have less to spend, they might choose to buy handmade because handmade things don't lose their value easily. Lets all keep our fingers cross. 3. 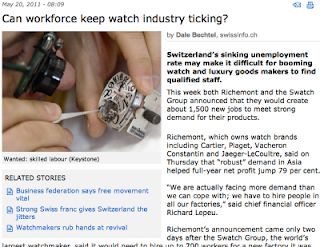 Students thinking of coming to Switzerland to learn about watchmaking might reconsider their position and stay put in their current jobs because the Swiss Franc has seriously dented their budgets. But its not all doom. Here's the best bits. 1. For the number of us who are based in Switzerland, now is the best time to buy 2nd hand quality equipment from outside Switzerland to boost your workshop ! Great value even with the shipping charges ! But the stark reality is probably that Swiss exports will lessen. So we might want to brace ourselves for the impact. Of course, lets hope for the best but its also wise to be cautious and prepare ourselves just in case. *This entry does not constitute economic/financial advice. This is a purely personal view and may not accurately reflect real market conditions . We will not be responsible for any losses resulting from the views expressed in this blog entry. The article excerpt is reproduced below. ZURICH (Dow Jones)--The Swiss franc's latest rise against the euro is set to deepen the problems of the country's exporters and tourism industry but is unlikely to prompt the central bank to intervene in the currency markets just yet, industry experts and analysts say. The franc rose sharply against the euro on Monday amid renewed concerns that Greece might have to restructure its debt after rating agency Fitch downgraded the country's credit rating on Friday. These debt fears were intensified as Standard & Poor's also cut Italy's credit outlook and Spain's ruling party lost local elections over the weekend. The euro traded at 1.2369 Swiss francs Monday afternoon after hitting a new record low of CHF1.2323 in the morning, extending Friday's losses. The franc's unabated rise triggered speculation that the Swiss National Bank might step in to avert a further strengthening, which is set to hit the country's export industry. The SNB declined to comment on the market speculation and traders said that any such move is unlikely in the short term after the central bank's past currency interventions left it saddled with huge losses, triggering widespread political criticism and calls from Switzerland's right-wing party SVP for stricter oversight of the independent body. "From a political point of view, the SNB's hands are tied after they were heavily criticized for their past interventions and so fresh interventions are very unlikely," said Damian Zihlmann, trader at Quaesta Capital. "What is possible, though, is that the SNB will intervene verbally once the euro falls to a level of 1.200 francs, which may be a pain threshold." Other traders expect the SNB to move in sooner. "If the euro slips below 1.2200 against the franc, then the SNB could make its presence felt," said Roland Raczek, a trader at BayernLB. "The market is very nervous at the moment, but what will concern the SNB most is the speed of the euro's drop against the franc." Anja Hochberg, head of investment strategy at Credit Suisse, doubts the SNB will have to intervene because she expects the franc's ascent to be short-lived. "But the current franc strength makes it is unlikely that the central bank will raise interest rates at its next meeting," she said. The SNB will hold a policy meeting in June and is expected to keep rates on hold because of the franc's current strength. The bank has kept the target for the key three-month Swiss franc London interbank offered rate at 0.25% since March 2009. Swiss exporters have for months complained about their currency's strength, which curtails the ability of many companies to be competitive in Europe and the U.S. The franc's recent rise against the dollar has worsened the outlook for many exporters, who over the past few months had spread out activity in dollar-denominated economies to limit the damage of the weak euro. "The situation has become more accentuated, also because the dollar's recent weakness hurts profit margins," said Ivo Zimmermann, spokesman for industry group Swissmem, which represents around 1,000 companies in the Swiss mechanical and electrical engineering industries. The group's members export goods worth some CHF63 billion ($71.4 billion) and contribute some 35% to the country's exports. "Many companies have already started to implement measures against the strong franc," Zimmermann said. 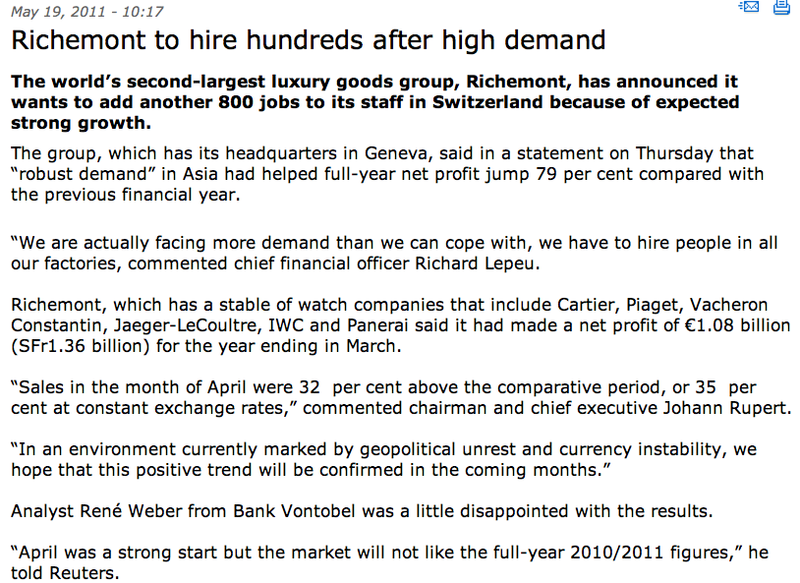 "But the renewed rise could prompt some companies to cut jobs or move investments out of Switzerland." 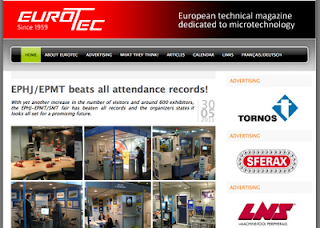 Swissmem's members employ some 330,000 people. Zimmermann added the Swiss government needs to safeguard the country's ability to remain innovative and continue to support the knowledge transfer between universities and businesses. Also, the government should fight calls to curb the free movement of persons because Switzerland needs highly-skilled workers to stay competitive, he said. Economists and business executives, meanwhile, don't expect government support to intensify after Swiss Economy Minister Johann Schneider-Ammann last week said the government's means to limit the upward pressure of the franc were limited and that Swiss companies need to learn to live with a strong currency. Peter Spuhler, chief executive of Swiss railway vehicle maker Stalder Rail AG, criticized this approach but said companies need to adapt to the new reality. "We have to go through this now," Spuhler said last week at a business event in Interlaken. At the meeting, a majority of businessmen complained about the franc's strength but noted that Switzerland can only remain competitive if the country continues to spur innovation and attract managers and skilled workers from other countries, something the country has done successfully over the past decade. Meanwhile, the Swiss tourism industry, which was among the hardest-hit sectors and received government assistance earlier this year, is set to continue to suffer as the franc remains strong. According to a survey by the BAK Basel Economics institute, bookings at Swiss hotels will decline an annual 1.3% in the period from May to October thanks to a 2.6% slide in foreign demand, particularly from Europe and Japan. Analysts are concerned that the recent franc rise could accelerate the decline. The ink is dry on our purchase order. Yes, we have a new toy in the school. 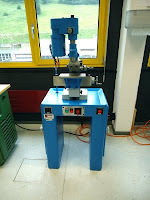 The school actually have milling machines but because we are in the process of constructing a school watch ( Its a surprise and very TOP SECRET .. and no, its not a pocket watch and its definately not boring .. but but BUT, we shall leave the best for last ... watch this space for it .. and believe it or not ... it might come sooner than expected ... ), we needed a dedicated milling machine for prototyping. 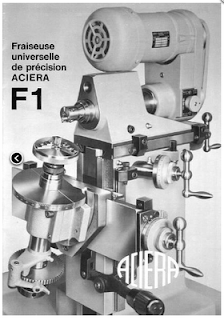 So, after a long search and lots of consideration, we found a refurbished Aciera F1 Milling machine for sale. 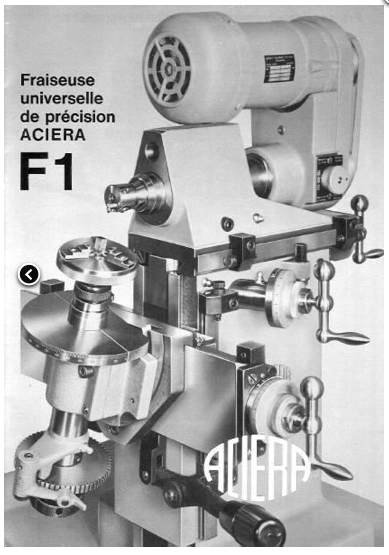 Aciera was a tooling company based in Le Locle in the 1900s but unfortunately, it went burst after WW2. But that said, the machines they made were of very high quality and many are still in use today. And not surprisingly, they are still pretty sought after. 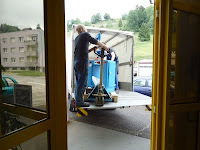 Well, the pictures here were scoured from the world wide web but when our own machine arrives, more pictures will be put up. More good news ? We sure hope so. 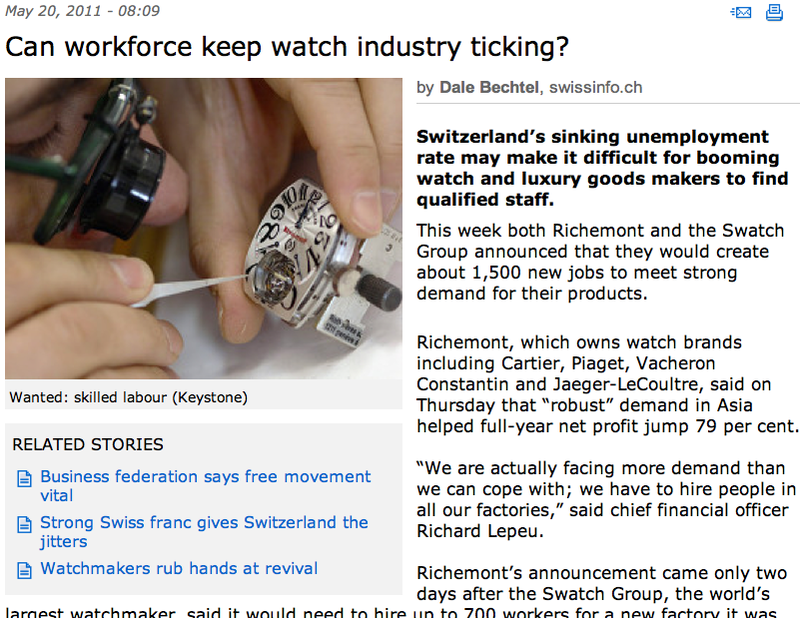 But how does this really affect watchmakers ? We all know now that there are really NOT enough watchmakers to go around. The facts again. 1. 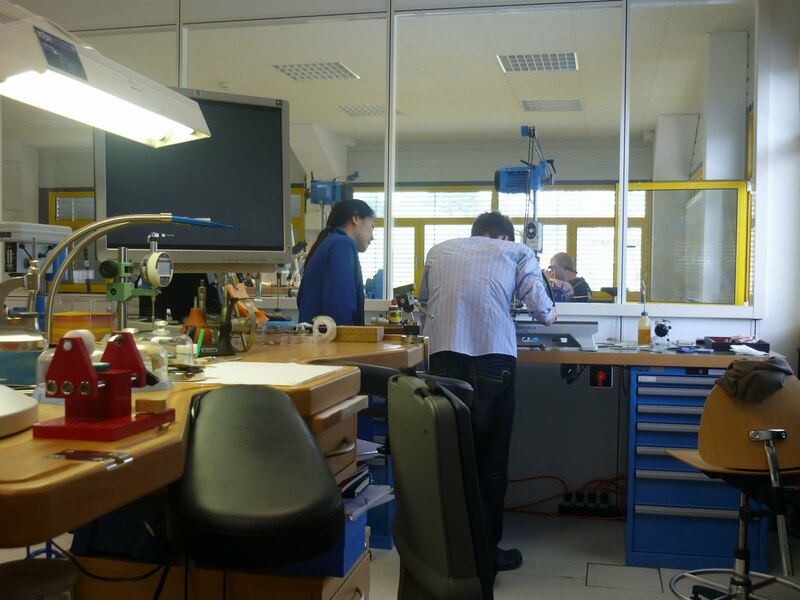 There are far too many watches to repair and hardly enough qualified repairers to go around. 2. 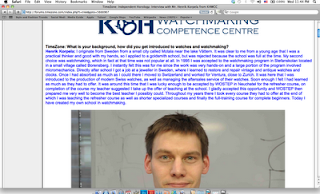 There hasn't been new schools set up to train/groom/cultivate watchmakers. 3. Even if new schools are set up, there are insufficient teachers. 4. Each intake usually don't exceed more than 8 year. So, it looks like no amount of advertising or marketing is going to help. Even if they raised the salaries of junior/newly graduated watchmakers to more than USD50,000/80,000 Francs/ 40,000 pounds per year, will the vacancies be filled ? I doubt it. But hey hey, for the rest of us, its not a bad thing ! Buy more watches ! And please complain as much too ! It keeps us in business. It keeps the tradition and profession alive. I think this apocalypse of the watchmakers was not unexpected. So, does anyone still think Watchmakers will be out of work anytime soon ? The easiest/cheapest solution for close up shots ..
Pictures taken from http://www.network54.com/Forum/125316/message/1126721648/Look+very+closely... ; Copyright belongs to owner at website. This picture is not used for commercial purposes. Pictures taken from http://forums.timezone.com/index.php?t=tree&goto=5599105&rid=0 ; Copyright belongs to owner at website. This picture is not used for commercial purposes. Well, lets face it, we all want to take those nice close up pictures of movements to show off our skills. And these pictures sell too, but most of us won't know how to and the worst part is, we will then proceed to pay someone thousands of dollars to take these pictures for us. I have a cheaper solution. It won't cost more than 200 francs ( Or about USD 150 ). And its idiot proof. Try one of these. 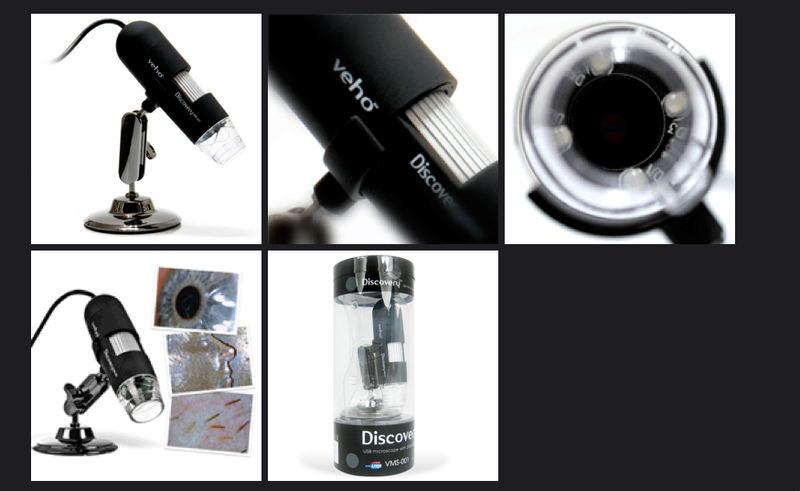 The USB microscope. Plug and play ! Not for commercial purposes. Copyright remains with Veho. This one's from a British company called Veho. More details of their product can be found at their website at http://www.veho-uk.com/main/shop_detail.aspx?article=40. An inspiration to all future Independents. 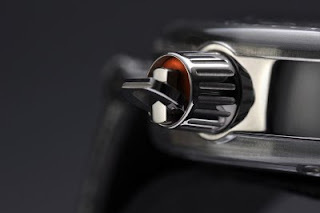 Timepiece featuring Philippe Duf0ur and Vianney Halter. 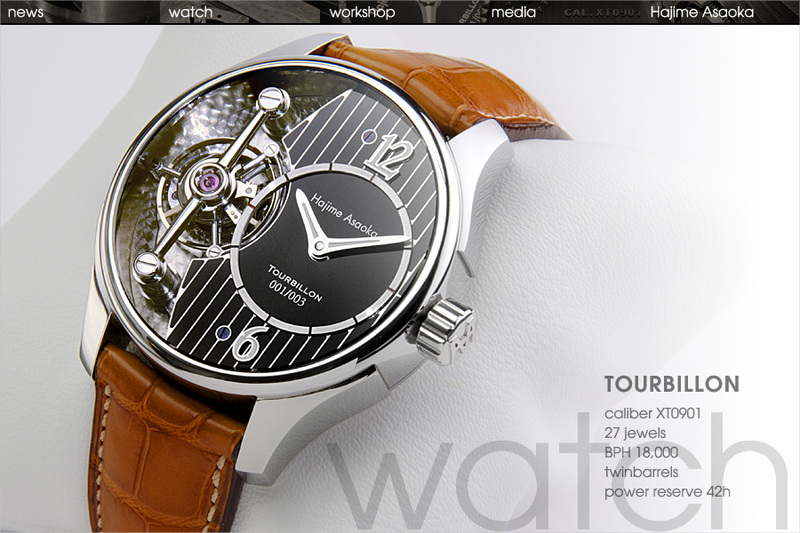 Photo of Tourbillon taken from Hajime Asaoka website. For this post, I thought i might include something unique and interesting. Much has been said about Swiss Tourbillons. 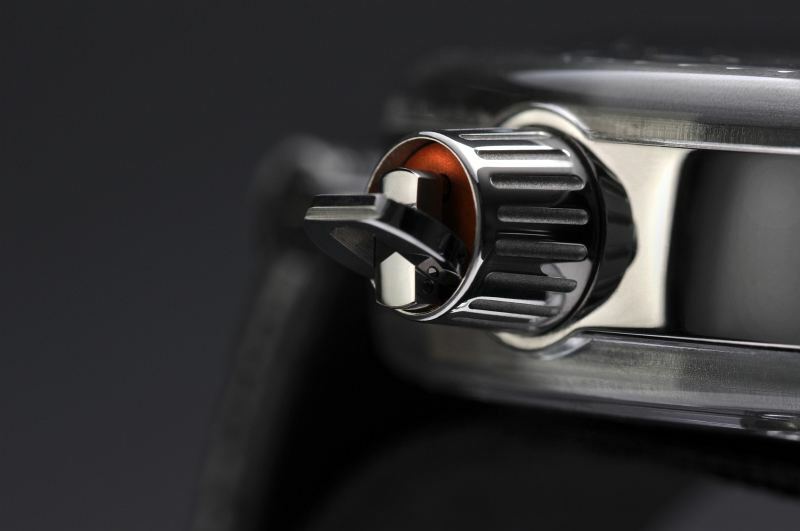 Much has also been said about German Tourbillon. Even the chinese have one. But not much has been said about Japanese Tourbillons. No. Its not something from Seiko, Citizen or Casio. By the way, this is the front door. The pictures on the school website doesn't really do much justice to the space we ACTUALLY occupy. 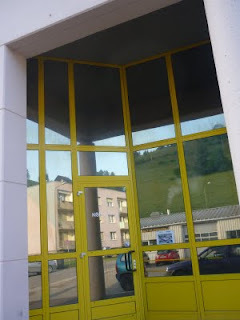 One visiting potential candidate remarked that he thought the school was housed in a corner of a single storey buidling. To dispel all suspicions, here is the 2nd photo. The school is housed in a modern 2 storey building. The interior is modern as well. 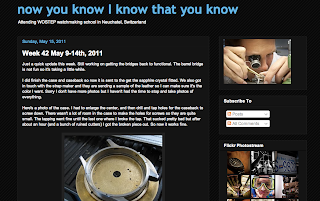 I have been interviewed by Timezone and the school featured in the "Independent Horology" forum section. A massive thank you to Timezone and Felipe ! We hope to get more exposure and increase student intake in the future. So spread the word. Our intake policy differs from other watchmaking schools. The course is taught entirely in English and applications are open to all interested students. 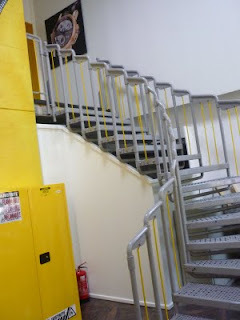 Firstly, It was a challenge to set up the school. A massive challenge at that too. But all thanks to Ulysse Nardin's contribution, friends and everyone else who has supported us. I hope this will be the start of something very exciting for the watchmaking world. So lets us head towards infinity and beyond !